A brilliant young student, enroute to a Ph.D. in literature, decides that he could better understand the intersection of “biology, morality, literature, and philosophy” by becoming a neurosurgeon. 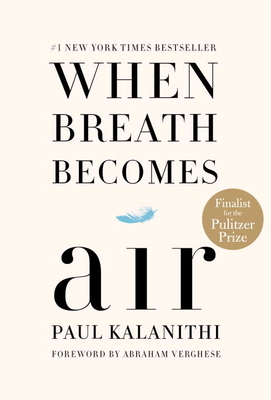 At the end of his residency, on the brink of a spectacular career, Kalanithi was diagnosed with Stage IV lung cancer. A tragedy, yes, but how lucky we are that he devoted part of his remaining two years writing this book. No reader will look at living a meaningful life in quite the same way; what a legacy Kalanithi has left us.